Your resume is a job search tool focused on organizing your past experiences to help you gain future experience. When creating your resume, think of the types of positions you are applying for since it will show how you will excel in that particular job. The Fall 2017 Career & Internship Fair Week is just around the corner, and you want to make sure that you have plenty of copies of your resume on hand to give to employers at the fair! To get your resume reviewed, visit our walk-in service, Career Express! Use the guidelines below to help you use your resume to demonstrate your unique skills and qualifications. This part of the resume should include your name, contact information, personal LinkedIn profile URL, and links to other professional websites or portfolios if you have them. Make sure your name is typed in the largest font. We recommend using a font size of 16-20. Your contact information should also be visible so the employer can easily contact you. 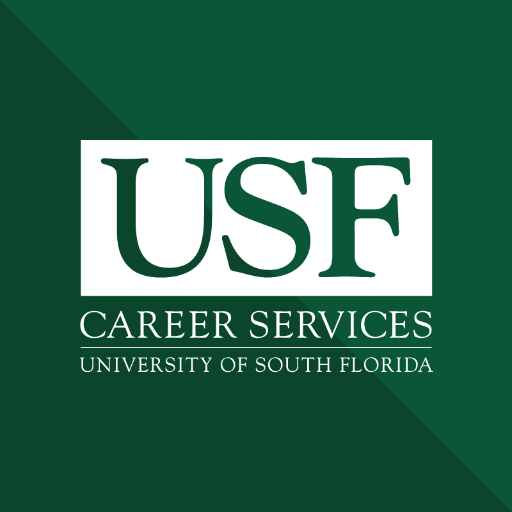 Include your professional email address (your USF email is fine) and a phone number. This section should include schools you’ve attended, degrees you’ve earned, and any degrees in progress. In addition, include your graduation date or anticipated graduation date. It is not required to have your GPA in your resume but it is optional. We recommend only adding it if is above a 3.5. Do not include any information about your high school education. Experience can be anything! Make sure to include any experience that is relevant to the position you are applying for. Experience can include paid positions, unpaid positions, internships, volunteer opportunities, and any sort of leadership role. If you have a lot of leadership experience, you can create a separate section to highlight those roles. For each position, make sure you include your start date and end date, the position location, and 3-5 bullets describing your duties and responsibilities at each position. These bullets should start with an action verb and should explain what you accomplished in your role. The action verb should be in past tense if you no longer work in that role, and should be in present tense if you are currently in that role. In addition to your experience, make sure to include any relevant skills you may have as bullet points within a separate “Skills” section. Some examples of skills to include are languages you speak (other than English), Adobe, and Microsoft Office. Avoid adding information about “soft skills” such as “communication” or “teamwork.” These soft skills should be described throughout your experience section. On your resume, you can also include other sections such as awards, research, or publications. For examples of resumes please visit our website.